In the Greek Orthodox Church, the sacrament of Holy Baptism is the first sacrament performed, and it is done only once. During the Christening, the sacraments of Holy Baptism and Holy Chrism are both performed. After it, the priest also usually administers Holy Communion for the first time. The Christening marks the beginning of an individual’s Christian walk. In it, the individual leaves behind the “old life” of original sin and is washed clean into a new life as a Christian. After this cleansing, Holy Chrism is performed, which gives the individual the gifts of the Holy Spirit. 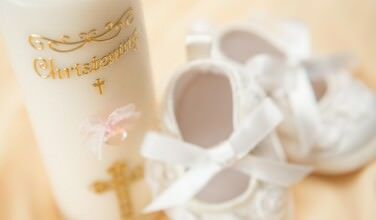 Before the Christening can even take place, however, an official sponsor, known as a godparent, must be chosen. Here is some advice that will help you select one that will be right for the job. The godparent is responsible for overseeing the spiritual wellness of the newly baptized Christian. It is essential that the person who is selected can perform this duty to the best of his ability. The potential godparent needs to be a Greek Orthodox Christian in good standing. If you have a person in mind, please consult with your priest to determine if he or she is a good choice. 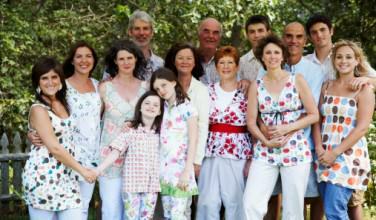 From a traditional standpoint, it is usually the Koumbaros or Koumbara who ends up becoming the godparent. 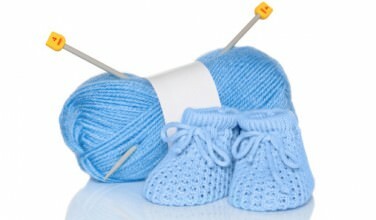 It is also possible to ask the godparent of the bride or groom to be the godparent of the newborn. However, both of these choices may not be the best ones. Discuss with your priest any possible candidates so you can help come to a decision as to whom you should choose. In the Greek Orthodox Church, it is mostly infants who are baptized. This means that the person who is being baptized can’t speak for himself in the parts of the ceremony where it is required. For example, there is one part of the ceremony where Satan is denounced. Since infants can’t speak for themselves, the official sponsor, or the godparent, does it for him. It is important to note that a godparent’s job is not finished when the Christening ceremony is over. Rather, the relationship between the godparent and godchild is just beginning as a much deeper bond is formed. Even though it is mostly the parents’ job to foster the child’s spiritual growth, it is the godparent’s duty to make sure this happens. Not only that, but the godparent should also make sure the parents are fit to help guide the infant to a Christian life. Once the godparent is selected, he or she will need to make sure that the priest is equipped with all the items he needs for the ceremony. This includes the cloth, oil, soap, and a white change of clothes for the infant as well as white towels, and other items. For a complete list of necessities, you will want to get a list from your priest.